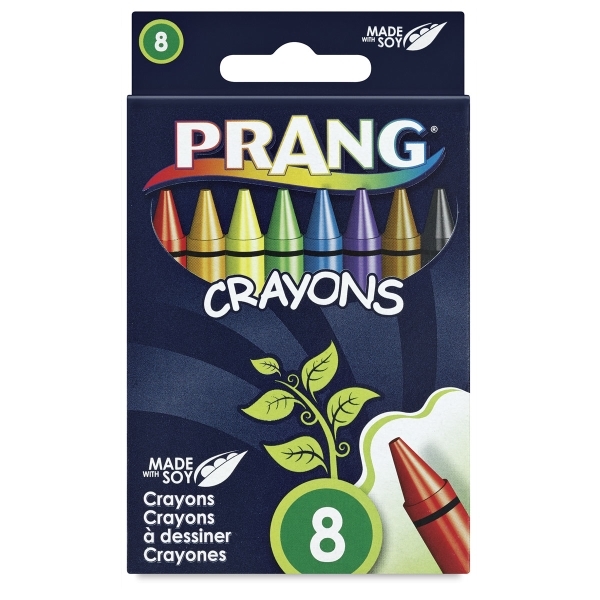 Prang's exclusive blend of soybean oil and brighter, more intense pigments makes these crayons brighter, smoother, and less flaky than ordinary wax crayons. Try Prang Soy Crayons and see why they're preferred by students and instructors. Set contains eight crayons, including one each of Red, Orange, Yellow, Green, Blue, Violet, Brown, and Black.